My course – Social Media and Beyond (EDU-6333) for Northeastern University has just finished its first week. I enjoy this course because of the added engagement through social media…primarily Twitter. Only 10 students this term (I am used to double that) – and over the first week, they did well, sending 72 tweets to the class hashtag #EDU6333. I used to also use a closed Facebook group, but pulled that last spring after the Cambridge Analytica scandal broke. 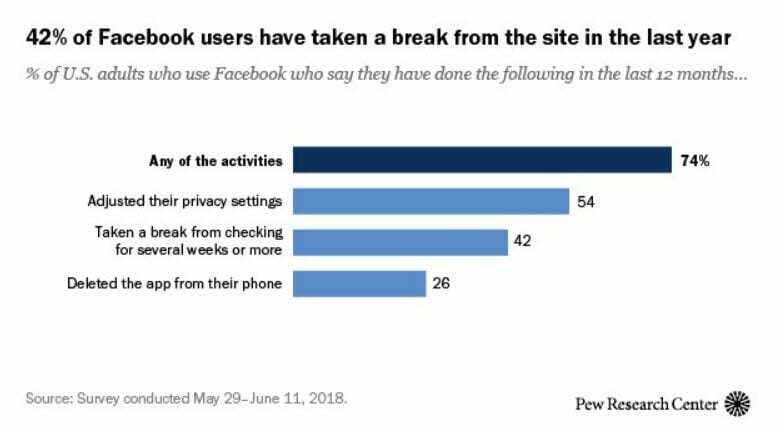 The Pew Research Center tweeted today about how America has changed its relationship with Facebook. One wonders if the drop in enrollment for my course on Social Media is related to less people now using Facebook? 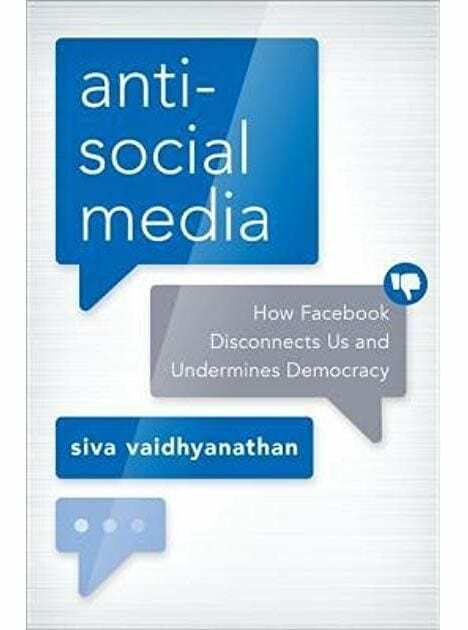 This past week, I also started reading Siva Vaidhyanathan’s new book, Antisocial Media. I am about half way through it, but it certainly has me thinking. Rather than connecting us, Facebook – through its algorithms and filter bubble – is now dividing us and promoting misinformation. Siva noted that “Facebook is great for motivation. It is terrible for deliberation.” He goes on to say that “Basically, there are two things wrong with Facebook: how it works and how people use it.” His chapters provide a deeper dive into these two problems. As I said, I am half way through the book, so I will pause here until I finish it. But it is already raising questions about my course. Explores pedagogically sound practices for using social media to improve learning. What are the costs vs benefits of using platforms that capture data (…and much more data than simply what one does with it) and is networked learning worth this cost? Learning is enhanced when course participants have an opportunity to forge communities of interest, leveraging collaborative relationships to expand and deepen inquiry. Does the building of a personal learning network within social media contribute to what Siva called “funnel vision”… a narrowing of perspectives and creation of homophilic relationships, such that opposing viewpoints are not seen? When deftly designed and implemented, social media can increase the engagement of learners and the impact of an experience. Is engagement enough? It has long been a proxy for learning … but is that skewed by the properties of social media? Offers participants an opportunity to experiment with a range of social media applications. If Facebook is out, few are blogging anymore, and Twitter seems to have its own issues, the very essence of my course seems problematic! Social Media and Beyond? I am trying to look beyond…and would appreciate any ideas any of you have? Checking out seems counterintuitive to engaged learning…but is the answer thousands of small niche collections on something like Mastodon? Any system or ideology that has as a goal ‘to keep me safe’ seems problematic to me. I don’t need or want any help from faceless algorithms or ideologies keeping me safe. I don’t know how they define that phrase nor do they know how I define it. This lack of clarity on a fundamental issue ripples through the whole enterprise. Good point, Andy. Toss in “defining it + downloading your data + downloading friends’ data + …” – gets messy quickly. Siva makes the good point that Facebook is just convenient enough and pleasurable enough that we forget this other stuff. They are doing it for the greater good…but they define what “good” is.